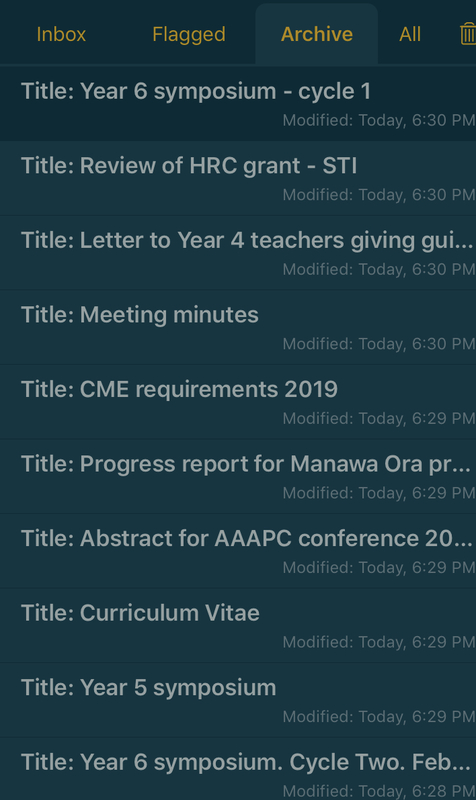 One option that I would like to see is the ability to toggle that the title of the draft is found in the metadata when writing in Multimarkdown. My issue is that I will write a draft - currently the first line is the title and then I have a MMD metadata block. When I preview the draft then the metadata block is visible. 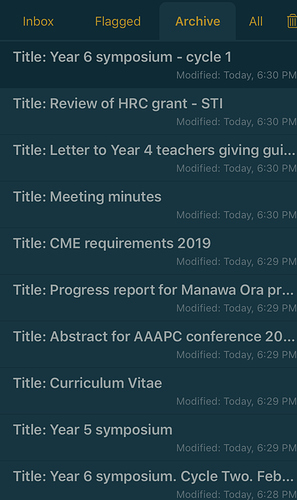 It would be nice simply to have a metadata block as the first part of the draft (as normal MMD) and then Drafts works out that the title of the draft is the title metadata and exposes this as the title in the Inbox, Archive and Flagged and as the [[title]] tag. I do not think it would make sense to change the behavior of the [[title]] tag for this specific case, because it is specific to MMD and not wide used. That said, if it is a case you commonly use, your own preview actions could be edited to use [[body]] to generate the preview instead of [[draft] in their templates, and it would work to generate the meta tags properly because MMD would be getting those as the first content and ignoring the first line. Thanks for your reply. I guess that I might be considered an edge case and understand that not many people might not be bothered in the same way. I guess I am trying to keep some consistency in how MMD is implemented. I really like Drafts and it has taken over my long term storage of all my notes rather than simply being an environment for short term notes.